Ireland’s first multi-experience destination venue is set to open its doors at the start of May. 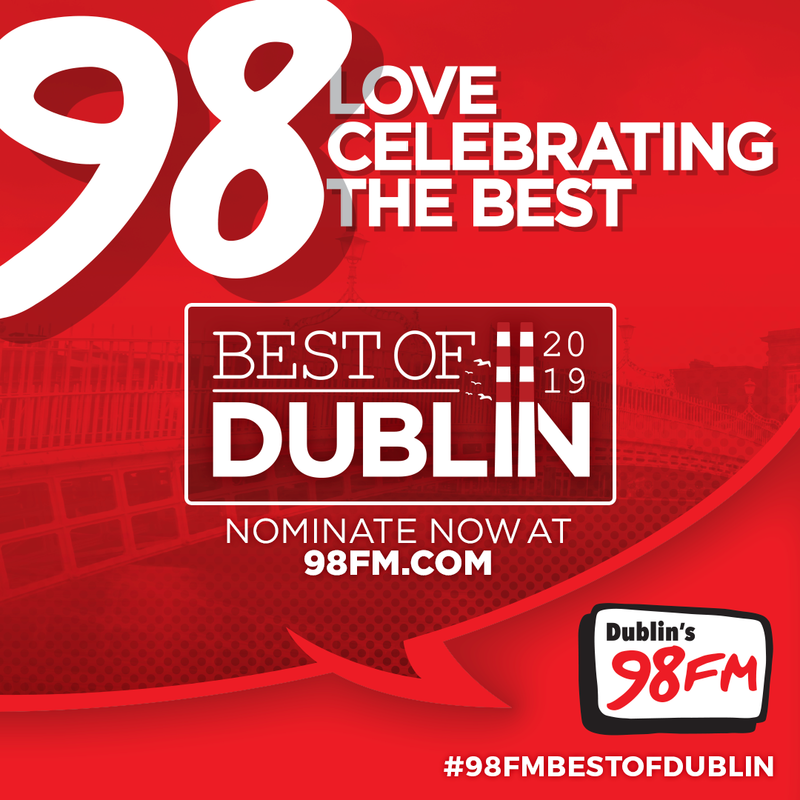 Loacted in Swords, Jam Park is described as "an always-on adults playground". The site, which was previously The Wright Venue, is the latest offering from Bodytonic - the team behind Beatyard and The Big Grill. 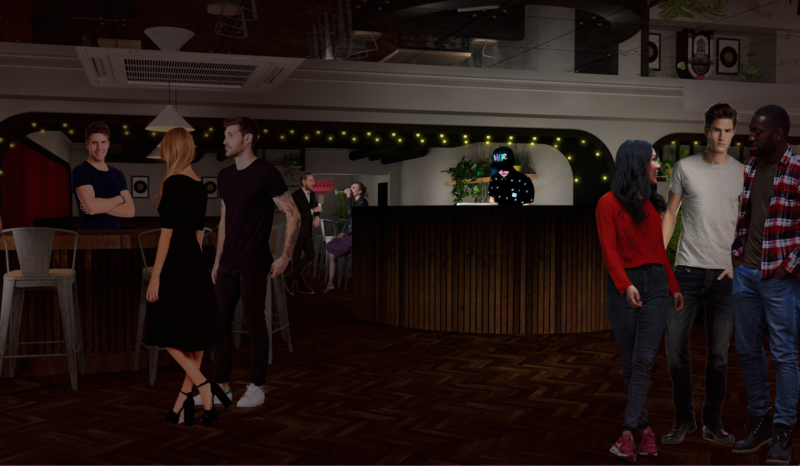 Bodytonic says Jam Park is "one-stop shop where you can eat, drink, play and dance, day and night all under one roof". The venue has been transformed to have a more casual, upbeat and ever-evolving look and feel throughout the multi-story location. The main event space is located on the first floor and is set to play host to a full schedule of concerts, comedy gigs, talks, screenings, conferences, quizzes, parties, art & science exhibitions as well as private activations. At full capacity the room holds up to 1200 and includes three bars and a beautiful outdoor terrace. 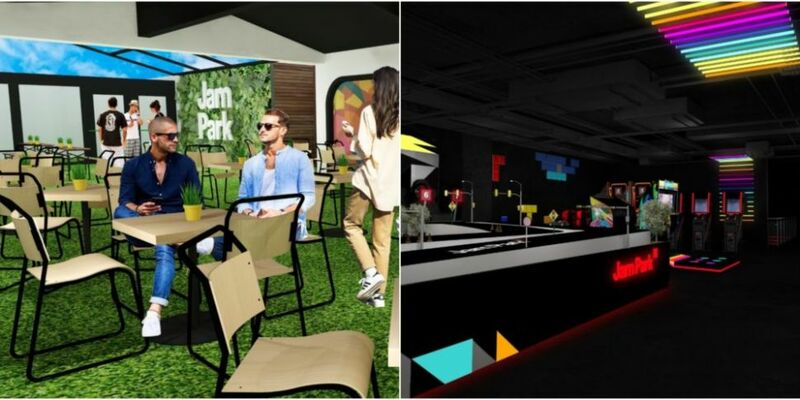 Evoke your inner child on the second floor of Jam Park and try your hand at crazy disco golf, ping pong, shuffleboard, darts, escape rooms, over 50 board games and a revolving choice of carnival, circus and interactive games. There is also a selection of private rooms for parties, karaoke, meetings or just hanging out with friends. The Jam Park Eatery and open air, fully heated rooftop terrace can be found on level three offering delicious dishes and snacks throughout the day. The warmer weather will bring outdoor cinema, parties and BBQs to the rooftop of this epic venue. Bodytonic is proposing a sustainable and environmentally friendly working organic farm on the rooftop of Jam Park. The team see this as an area for educational workshops, beautiful events, produce for the venue’s food and beverage offering as well a unique way to help to offset their carbon footprint and remain environmentally responsible. 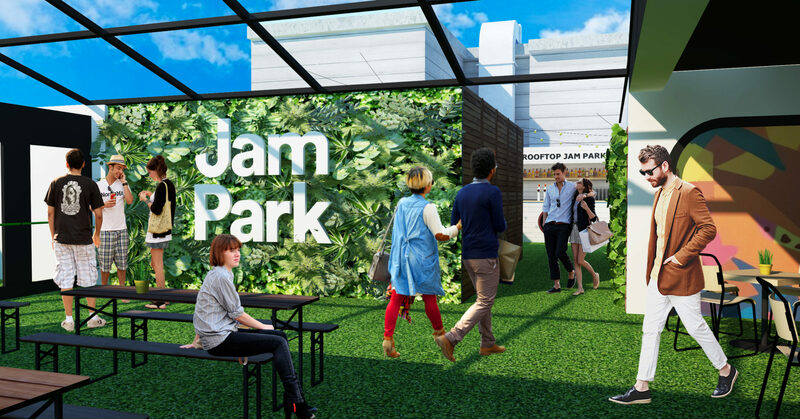 You can find out more about Jam Park here.